Whilst the silver birch tree is pretty much capable of taking care of itself other than a spot of light pruning to keep it healthy and to promote new growth, there is still a need to ensure the pruning method used is in line with good practice. Silver birch trees can sometimes produce shoots or branches that become congested or rub together. This is not conducive to the good health of the tree. Good air flow is essential. Branches that rub together will weaken over time and they will also create entry points for disease and pests. Removing such branches is all part of the process of pruning a silver birch tree. In addition, removing parts of a silver birch tree that have been subject to pest damage will prevent that damage spreading to healthy parts of the tree. It may be that your silver birch tree has outgrown the space it occupies, or has started to block light. Sometimes the long cascading branches grow too close to the ground which makes landscaping difficult. 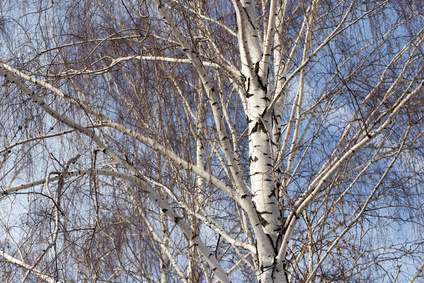 More reasons for needing to know how to prune a silver birch tree, which is why we’re going to share our top tips on how to do it in this post. But not before we talk about when to prune your silver birch tree, because that’s equally important. The silver birch is one of the most prolific bleeders of sap on waking from winter dormancy. Sap can be extremely dangerous for trees as it attracts bugs which bring disease and also lay their eggs around the pruning wounds. Disease is bad news for pruning wounds because it can quickly spread throughout the tree, often with disastrous results. Eggs laid in pruning wounds can also be catastrophic as the tree can become seriously infested. Some insects, such as birch tree borers, can even kill a tree. It is therefore essential to refrain from pruning a silver birch tree at any time of the year other than between late summer and early autumn. To learn more about getting the timing right with silver birch tree pruning, have a read of our dedicated blog on when to prune a silver birch tree. It is vital that you do not over prune your silver birch tree. Always approach the task with a less-is-more attitude. Over-pruning can lead to rot pockets which weaken the tree. Also, before you start your pruning, give your tree a close look over. Firstly, ensure there are no birds nesting in it. If there are, then you must not proceed; to do so would be an offence under the law. Secondly, look out for signs of disease. If you see yellow, orange, brown, black or white pustules on the leaves then this is likely to be leaf rust and this will need to be treated. You may also see dying branches within the crown which denotes evidence of birch dieback. This is caused by fungal pathogens and will again need to be treated. If you see any signs of disease you must not proceed with your pruning but instead call in expert assistance. Pruning a diseased tree can cause the disease to spread further; it may even spread to neighbouring trees. With these aims in mind, the place to start is with the easiest tasks. Firstly, remove any side shoots and suckers that are spoiling the look of the tree. Secondly, stand back and look at the tree and decide which of the branches you are going to remove. Remember, be as conservative as possible and NEVER remove more than a quarter of the canopy in any one session because this could weaken the tree with fatal consequences. Any branches that are less than 5cm in diameter can be removed using the following method… Remove them from the ‘collar’ – this is the part where the branch is attached to the trunk. Use sharp, long-handled pruners to make a single swift cut, and then be sure to clean the pruners with diluted bleach solution or a household disinfectant. This is a vital process in between pruning each branch so as not to spread any disease. For larger branches above 5cm in diameter, you’ll need to apply a three-step process. Firstly, you’ll need to make an ‘undercut’. Measure 45cm along the branch and then make a cut around a third to half way through, starting from underneath and working upwards. This cut will prevent any bark being stripped from the tree as the branch falls. Secondly, the main cut. Measure 2.5-5cm along from the undercut then cut the branch from the top in a downward motion. Make the cut all the way through the branch as cleanly as possible. Lastly, make good. You’ll be left with a stub of around 45cm. This will not look attractive, and it can be a source of disease should it die back. It is not going to regrow, so cut it flush with the collar for a neat finish. Need help pruning your silver birch tree? If you have a silver birch tree that could benefit from a little professional care and attention, perhaps because it has been left to grow into an unruly state, or maybe it is suffering from disease, pest infestation has been poorly managed in the past, why not get in touch with TH Trees Ltd? 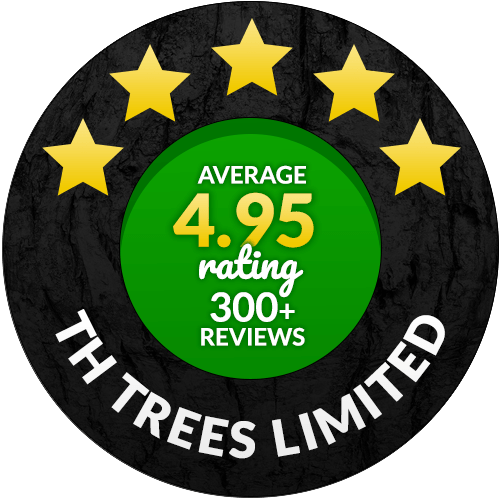 Our highly qualified and exceptionally experienced tree surgeons are at your service with the expertise and skill required to ensure your silver birch tree is brimming with health and looking beautiful. For a no-obligation quotation on silver birch tree pruning, give us a call on 01268 642814 or get in touch here.